Martinez, J.J. [et al.]. 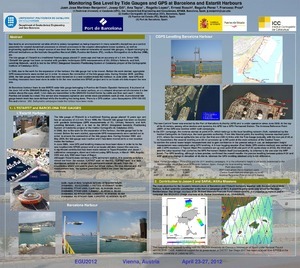 Monitoring sea level by tide gauges and GPS at Barcelona and Estartit harbours. A: European Geosciences Union General Assembly. "Geophysical Research Abstracts Vol. 14, EGU2012-791, 2012". Viena: 2012, p. 1.